While perhaps not as deep as the field in Tampa, President's Day has more than enough talent to produce excitement. While plenty of weekend excitement has already landed with the teams taking the field today in Tampa, FL, don’t sleep on the action in La Jolla, CA. Both Warm Up: A Florida Affair and President’s Day feature three days of play.1 Both tournaments again host a heap of Nationals-grade talent. But on the men’s side, one of these early-season gauntlets has repeatedly churned out a Nationals quarterfinalist the last two years. The other has been the playground for two eventual finalists. Who’s emerged victorious at President’s Day? In 2014, a football-tossin’, Mickle-led Colorado Mamabird walked away champion and was crowned National champion three months after. A year later, Connor Matthews shed his homemade tank top when Oregon Ego took home hardware –they soon made a storybook run through the bracket before falling short in the 2015 title game in Milwaukee. The country may have Warm Up in full focus, but Prez Day should pair well with picture-in-picture. The Best Will Still Be Good in 2016, But How Good? Oregon Ego has been a factory for big-name talent over the last decade and a half. At the end of their season in Milwaukee last spring, they said goodbye to perhaps their biggest star: Dylan Freechild. Freechild’s play was — and will continue to be, in Dallas and elsewhere — the definition of transcendent. The upline give ‘n go may have existed before him, but one could say that Freechild’s signature play aligned perfectly with the rise of video in ultimate. The sport hasn’t been the same since, and Oregon won’t be the same without him. 2015 Ego pushed their offense deep downfield to give Freechild, Chris Strub, and Trevor Smith space to work the disc, while also allowing for Connor Matthews and Mario Bundy plenty of room to reach top speed in wide open lanes. Forcing opposing players into those tough one-on-ones gave Oregon’s offense it’s edge, and when the cutters were stranded, they had Freechild to weave his way out of trouble and into success. 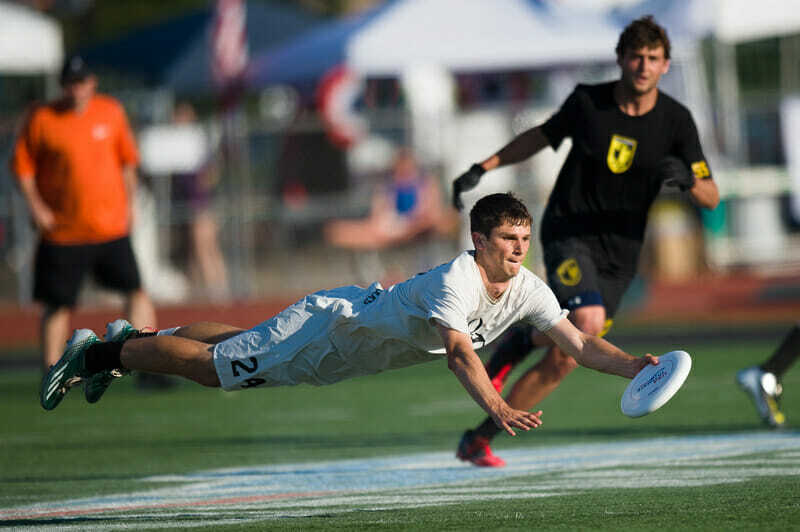 Adam Rees, Ultiworld’s Breakout Player of the Year in 2015, will really take up the mantle alongside Strub, Matthews, and newly minted veteran Colton Clark this weekend. Oregon has a penchant for finding and molding excellent athletes, and this year’s seasoned core certainly has the experience to fit that talent to their system. The team has also allowed last year’s small roster experience balloon back to 24 players, so Rees and Strub will have many more bodies on hand to preserve lines and energy. That’s great with a long weekend ahead of them, and as noted by coach Jay Janin, good for building the program into the future. If anything, Ego’s recent finals appearance on so few legs may have pointed them in this direction. “I think the most important lesson from last year is to be mentally prepared, focused, and balanced,” Janin explained earlier this week. Oregon will arrive in sunny SoCal with their whole roster ready to play and coming off a small early season tournament title at the Flat Tail College Open three weeks ago.2 The rest of the cast in Pool A, will be part of Ego’s process on Saturday. “We’ll be working on defining roles, playing together as a team, figuring out what works and what doesn’t,” said Janin about what his team would focus on. Cal-Poly SLO Slocore, who most recently reached quarters in Santa Barbara after giving Washington a good game during pool play, may offer up the most athleticism and trouble. Slocore and the rest of the pool (Colorado State, Oklahoma, and Chico State) likely do not have enough program experience to deal with a hot-start Ego. Colorado Mamabird, a program with equal historical clout and a more recent National title, take their spot at the top of Pool B after a deserved 5th place finish in Milwaukee last spring. 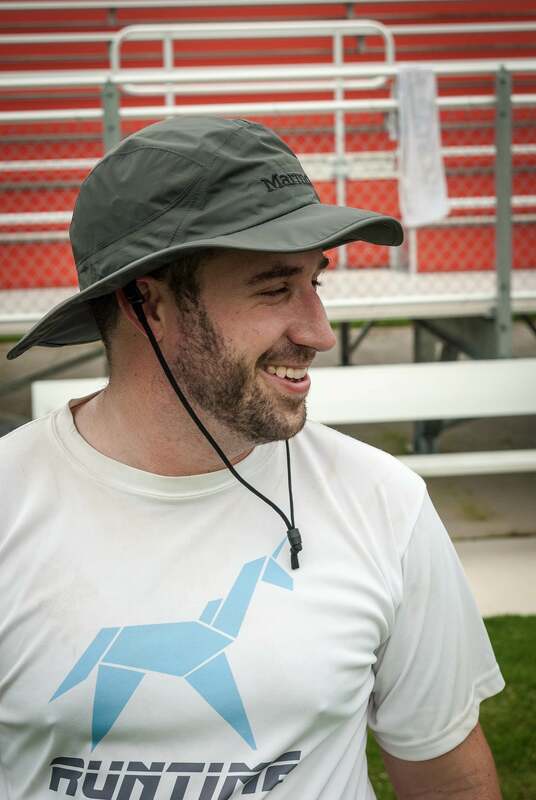 They earned a quarterfinals berth while dealing with the loss of the 2014 Callahan winner and other key veterans, and doing it all with a grinding vertical stack that taught Mickle to throw his effortless breaks. Mamabird followers will be excited to see the name Mark Rauls back on the Mamabird roster in 2016. After a breakout performance in 2014, the speedy handler missed the 2015 regular season due to eligibility issues. He rejoins Pawel Janus and Wes Chow, but this program has pedigree to spare and a system that spurred their athletes beyond their individual talents before. Unfortunately, the early-season South Central favorite lands in San Diego hampered by early season health issues. According to coach Mike Lun, the team is prepared to be missing seven players — five of them indefinitely. In spite of that, Colorado has rarely been a program that lacked preparation or class on the field in recent years. Their offensive discipline alone should prove difficult for opposing defenses; even if Mamabird is missing Stanley Peterson as a high-flying threat, expect the team to work the disc well and use the width of the field well when the deep game isn’t working. With health a question, that leaves Colorado vulnerable to two solid teams in Pool B, UC Davis and hosts UC San Diego. The former missed quarters in Santa Barbara, with the latter falling out a round later. Each team faced themselves in the elements two weeks ago, and having a tournament’s worth of experience might provide the kind of mental edge they need to give Mamabird a scare. Still, Colorado should be worthy of their spot atop the pool. “We had practice… the very next night after we got home and we’re warming up, and a couple of my captains were like, ‘We were talking about [missing the final in Santa Barbara] in the car and we don’t know how to feel,’” said coach Alex Wells. And yet, spirits have been high ever since for this promising young team. Did a question or two go unanswered? Sure, but the experience was still a valuable one. “The feeling there wasn’t really elation, and we didn’t really feel down. It was almost like a fall tournament where you go, you play your games, you learn some things, you get better, and then you go home,” he said smiling. Washington brings just about their entire playbook with them this weekend, having prepped most of their looks in January and getting a lot of field-testing done in Santa Barbara. The Sundodgers stood out in their commitment to disc movement two weeks ago, which opened plenty of breakside space for flow. Khalif El-Salaam, recently named to the WUGC Mixed National team and Washington’s bonafide star, was able to pick his spots and find his moments for impact. Steven Benaloh, Tomás Delgado,Tian Chuan Yen, and Cooper Schumacher were all instrumental for Washington, while Dong yang Chen (Sockeye) nursed a hamstring and talked well from the sidelines. They should all reprise their roles well, perhaps with Chen finally able to take the field. With lighter winds and lots of sun in the forecast, it’ll be interesting to see how much more person defense Washington plays. A well-coached zone contained teams in tough conditions in Santa Barbara, and the fairer weather may given the Sundodgers young defense a chance to start to prove itself. Washington’s toughest task in Pool C, where they are the top team but are seeded #11, will be taking down Northwest rival #12 UBC, whose excellent (but at times, streaky) play so far this season will keep both the tournament and the region very interesting. 2015 Metro East champs Cornell lurk lower in the pool as well, and while that region has continued to struggle, the Buds had a physical play style on display last season that, if it returns, could shake more finesse-style teams. San Diego State has their work cut out for them. UCSB’s Black Tide get the final top spot in Pool D, which leaves some questions about seeding after the Tide struggled mightily at their home tournament. Injuries, absences, and weather all hampered this storied program in their regular season debut. Though the UBC Thunderbird made semifinals two weeks ago and the Tide only made quarters, it’s the former that gets stuck underneath Washington while the latter gets a lucky shot at a relatively weak pool. UBC, under the stewardship of the phenomenal Peter Yu, has the kind of throwing prowess that should make most defenses very nervous about their marks early in the season. An emotional rollercoaster kept the team from performing smoothly during their own debut at Santa Barbara, but coach Marc Seraglia was well-attuned to that weakness and has had some practice time to try and smooth things over. Western Washington will take the field as #16 after a solid 6-2 weekend and appearance in the semifinals at Flat Tail. Dirt takes the field in San Diego most memorably as the spoilers to the Sundodgers Milwaukee dreams last year, although their top-end talent has since departed and it remains to be seen what pieces of last year’s surprise appearance on the National stage remain. Still, success is success, and it’s too early to write Western Washington off. With UCSB on the ropes already, Pool D could get interesting. President’s Day reminds us of Club Nationals past, in that pool winners will be heavily rewarded with early round byes on Day 2, while second and third place teams will still have a 9:00 AM casting call. Power pools will mix teams from 3 of the 4 original pools together, and without snake seeding at this tournament, it could make for some very curious Sunday matchups. Quarterfinalists must finish first or second in their power pool, so stay tuned to coverage on Sunday as things get funky. And remember, despite the field, this tournament seems to have a knack for producing a winner. Comments on "President’s Day 2016: Tournament Preview (Men’s)"